What marvelous promises! These are promises for today, not for the hereafter. We are protected. We are blessed. We are satisfied. Much of what God does for His precious saints is veiled in the Old Testament—often hinted at in poetic sections like the Psalms or wrapped up in the principles contained in mighty miracles displayed in God’s sovereign care for Israel. But the New Testament is replete with direct promises and insights. The first three chapters of Ephesians reveal the inexhaustible resources that we have at our disposal as the children of the King. Jesus promises that we need not worry about tomorrow or about our needs; the heavenly Father already knows what we need and is anxious to give us “good gifts” (Matthew 7:7-11). Paul told the Philippian church that he knew that he could “do all things through Christ which stregtheneth me” (Philippians 4:13). He also understood that God “shall supply all your need according to his riches in glory by Christ Jesus” (Philippians 4:19). 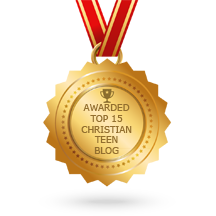 This entry was posted in A CLICK A BLESSING TODAY, CHRISTIAN NUGGETS and tagged Godly Provision. Bookmark the permalink.